From simple and cost effective pieces through to retro icons and the latest in cutting edge design; we offer an unrivalled range of the highest quality exhibition and trade show furniture. At Trade Show Solutions we strongly believe that the right furniture should be more than just functional, it should reflect your brand and add flair to your stand. For assistance please contact us and one of our experienced team will help you to create the right look for your stand. Please note that the listed prices are for exhibition and trade show furniture rental. If you would like to purchase any of these items please contact us on 02 8212 4264 for more information. 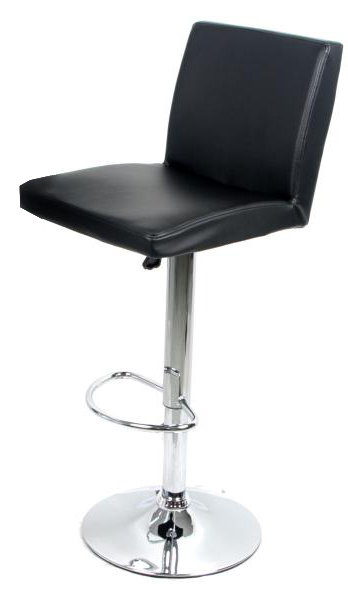 A comfortable and affordable bar stool with a contemporary look to fit almost any stand design. 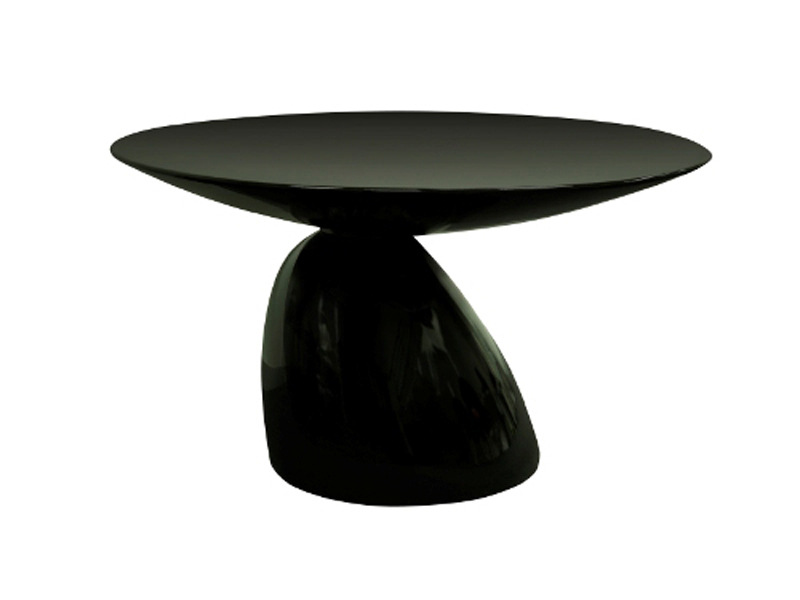 A simple yet stylish little stool designed by Phillipe Starck. 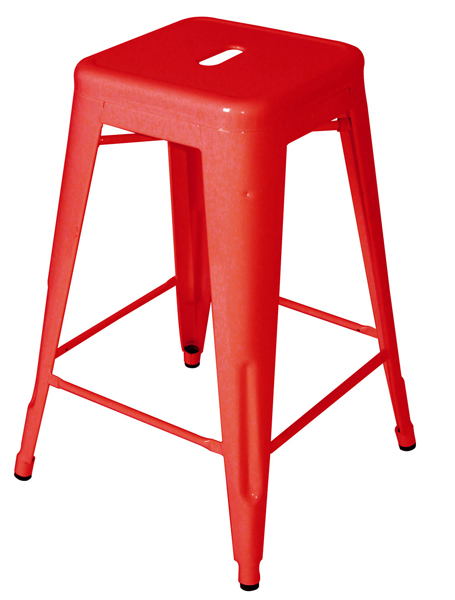 Avaiolable in a range of colours, this stool is a perfect extra seat that won't waste valuable floor space in smaller stand. 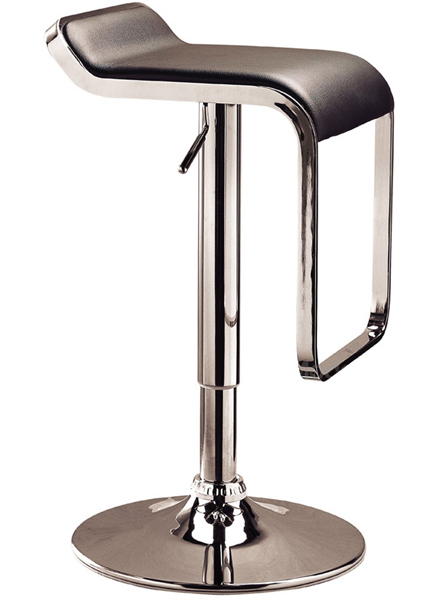 A cool modern bar stool with an ergonomic, height adjustable seat. 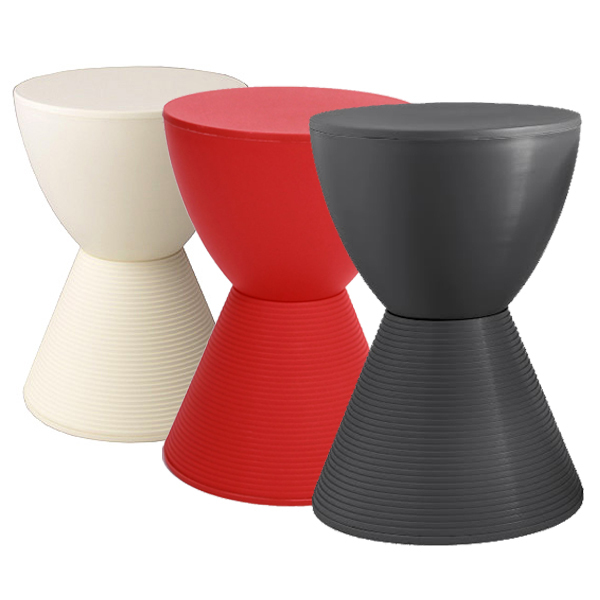 A small stool that makes a very stylish statement. 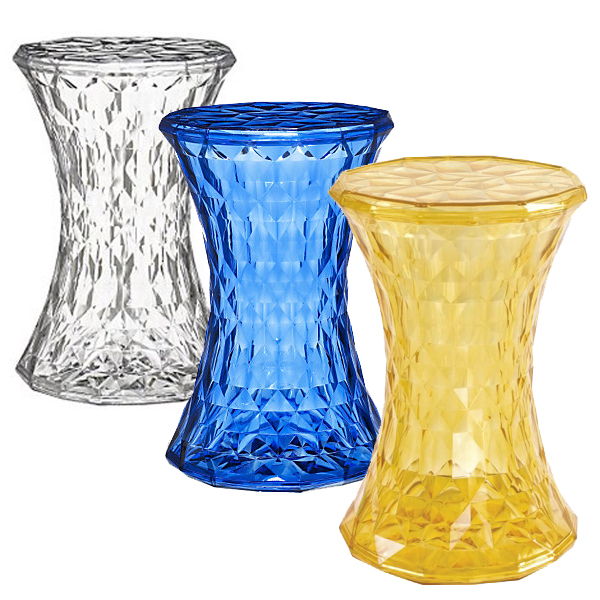 The textured contours and translucent colours of the Stone Stool give it a unique look that always attracts. A stool that exemplifies sleek minimalist design, it won product of the year at the International Interior Design Awards in 2000. 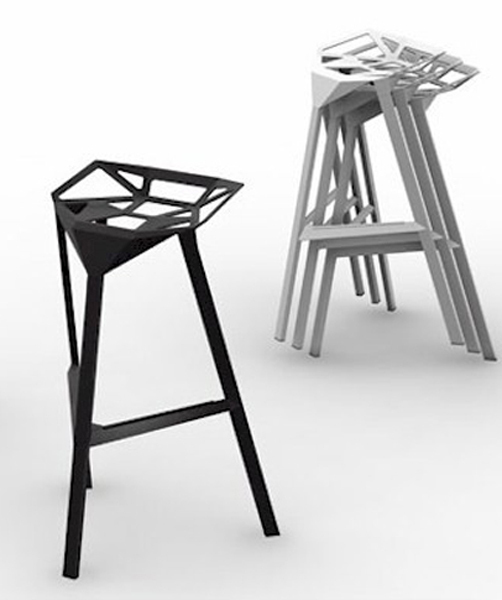 The Lem stool is sure to add contemporary elegance to your exhibition space. 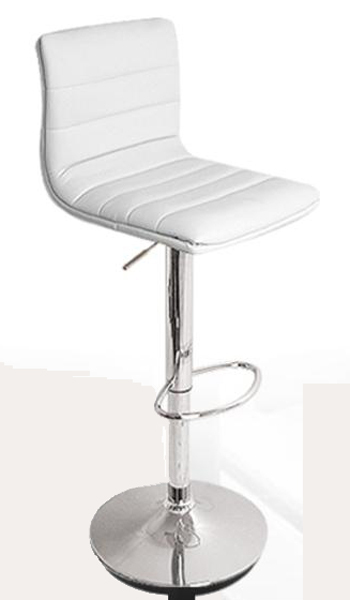 A very modern bar stool, the Elegance is well padded and has a high back for all day comfort. 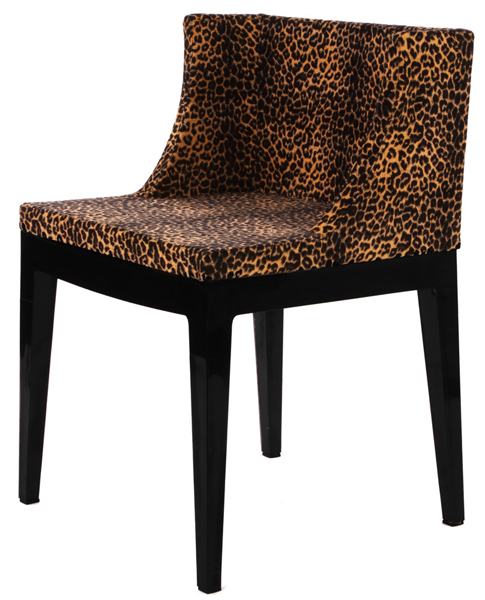 Comfortable, attractive and affordable, the Leo stool is a great choice for any modern stand. Praised for its simple beauty, Xavier Pauchard's 1934 Tolix design is an enduring Art Deco icon that still sits in many Parisian cafes today. Bring some sublime French chic to your stand in a wide range of colours that easily tie into your brand or theme. 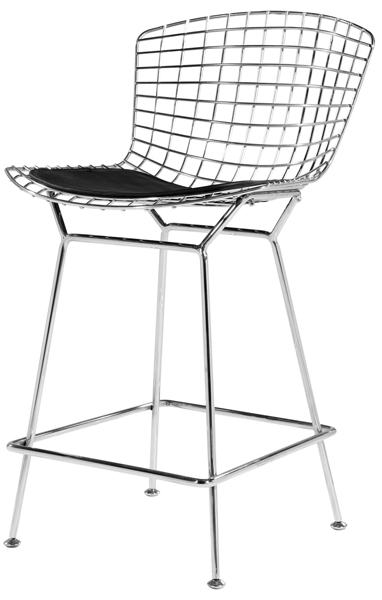 Harry Bertoia's 1952 experiment bending metal rods into practical art produced a revered range of furniture including the sleek and sophisticated Wire Bar Stool. One of the most unusual and memorable designs we have seen. Grcic has delivered an inspired piece of artistic impression and a very comfortable seat to boot. A great way to inject some added artistic flair into a small space. A highly awarded design, the timeless Tulip Range by Eero Saarinen oozes that hip 1960s style that we just can't get enough of. Still one of the world's most popular designs after more than 50 years. 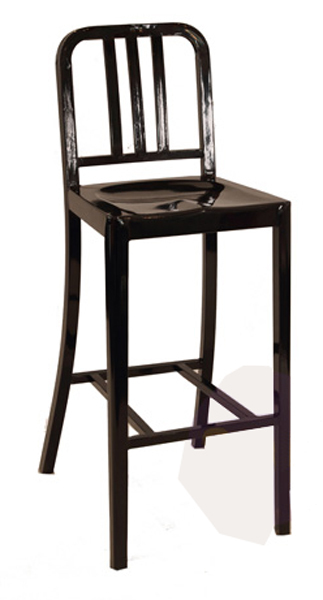 The Navy Bar Stool is a true icon from the heydey of American industrial design. It blends smooth, simple lines with a stunning high gloss finish. This piece will add a cool, retro touch to your stand without taking over. 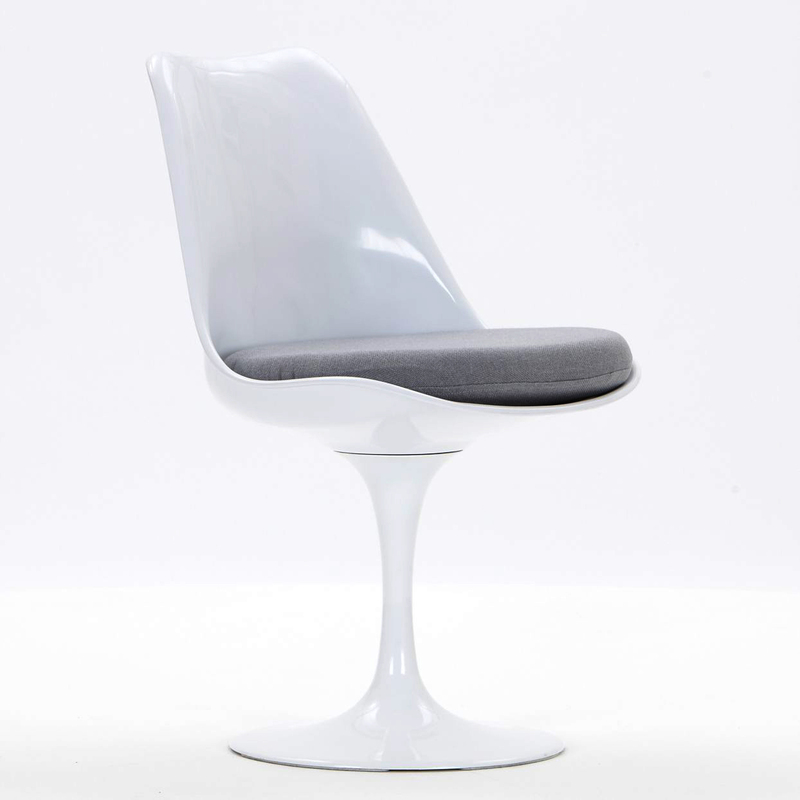 The Tulip side chair has clean lines, and is as appealing and popular today as it was when laucnhed 50 years ago. 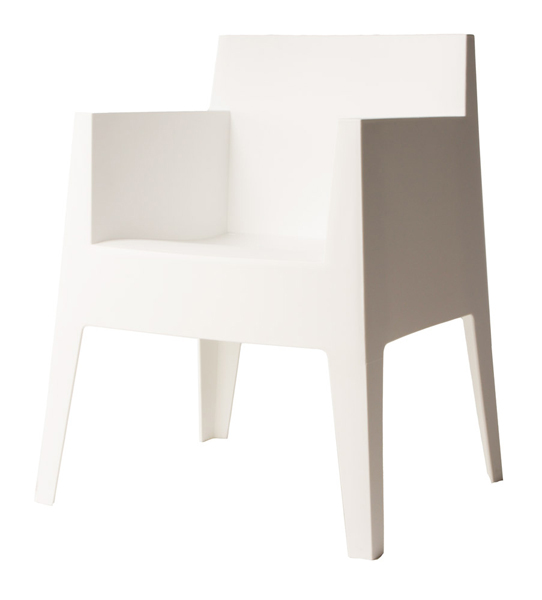 One of our most popular chairs that looks fantastic in any style of exhibition stand. Comfort and convenience at a very affordable price. 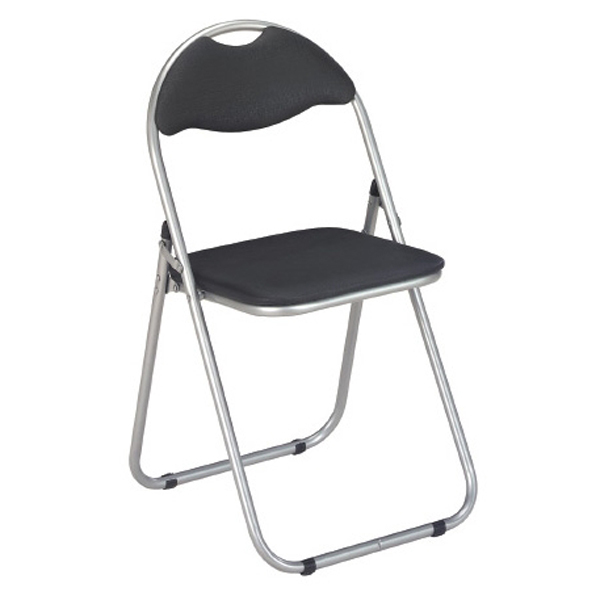 The Dalton Chair is perfect for expo stand as well as conference/event seating. Being foldable, the Dalton can be stored quickly between uses. Discounts available on large rental orders. One of the most popular chairs of all time, the DSR is at home in any stand design. The smooth and ergonomically sculpted seat of this chair is dressed up by its famous Eames Eiffel Tower base. 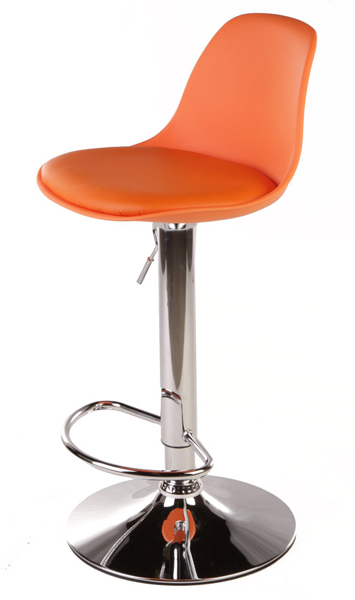 Comfortable enough to sit on all day it is available in a range of colours to compliment your brand or theme. 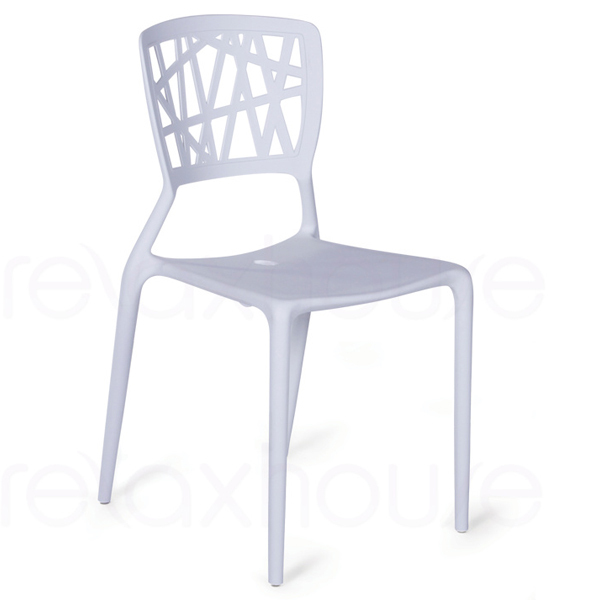 A very pretty chair with a light touch that adds subtle class to your exhibition space. The Viento exemplifies laid back, contemporary design as only the Italians know how to do it. One of our favourite allrounders at Trade Show Solutions. 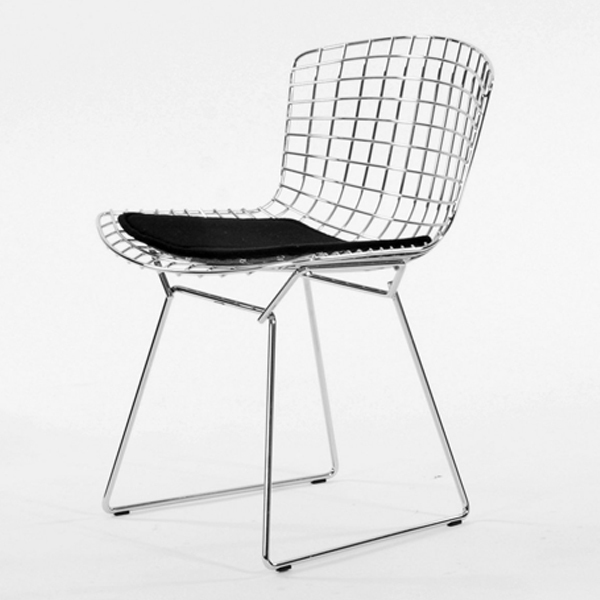 Harry Bertoia's 1952 experiment bending metal rods into practical art produced a revered range of furniture including the sleek and sophisticated Wire Chair. 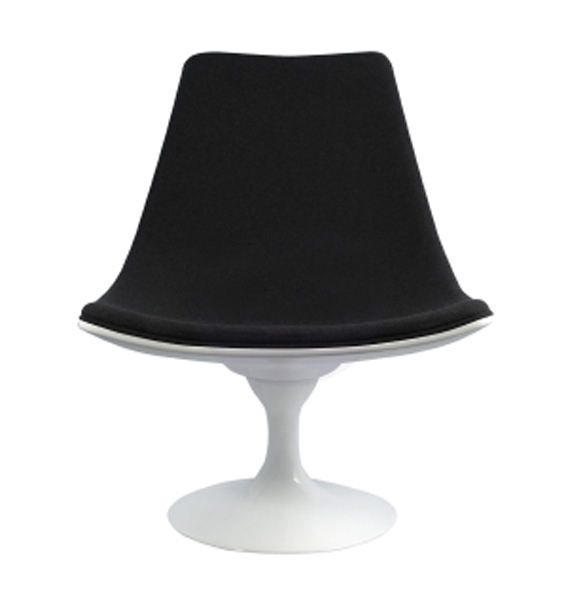 The Ring Chair is one of Eero Saarinen's iconic chair designs. Its elegant simplicity of form and bold shape make an eloquent visual statement in any exhibition space. A unique piece of furniture perfect for those looking for a very modern twist on traditional furniture design. This 2002 design by Giorgio Gurioli is sure to become a classic in years to come. An achievement of understated beauty, the A-Line Chair is luxuriously upolstered in cashmere and avaible in three striking colours. 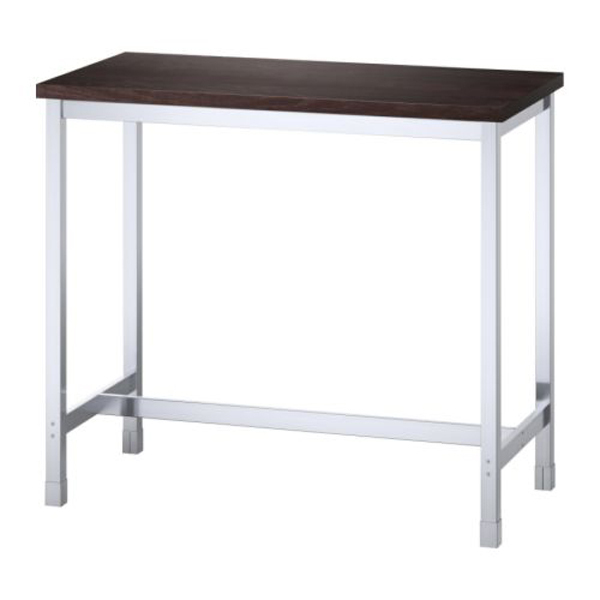 A functional and attractive bar table at a very affordable price. The polised metallic finish fits well into most design themes and the 700mm diametre top seats four with comfort. If colour is what you are after this is the perfect range. 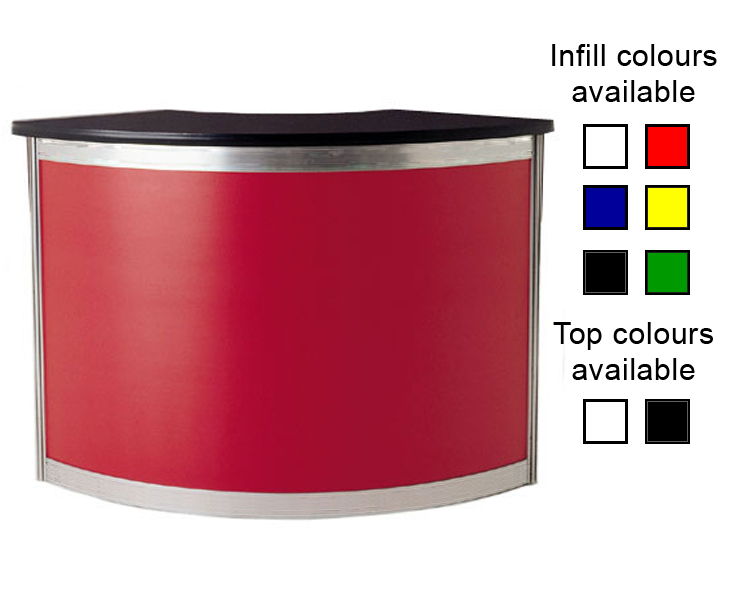 Available with a range of solid coloured acrylic top (rather than the usual metal rimmed tops), these table will work into almost any brand or design theme. An attractive and affordable rectangular bar table, the Finesse seats four people comfortably. 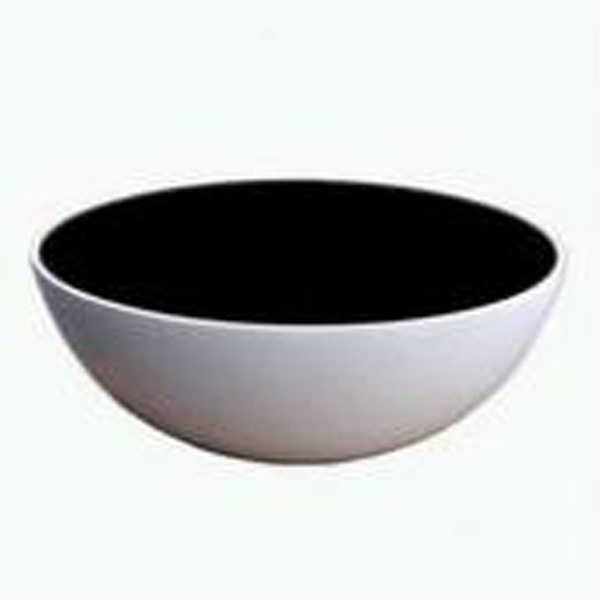 Features a stainless steel frame and Ash top. George Nelson’s End Table series was designed in 1954, its clean lines have marked it a timeless and versatile classic. 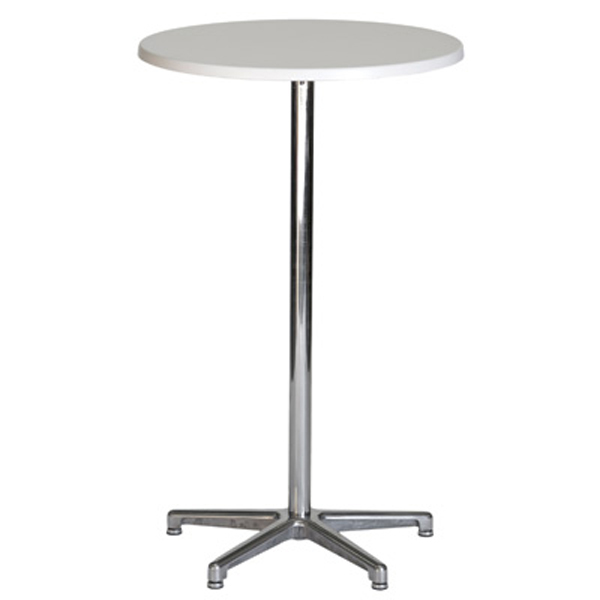 The all white finish allows this piece to blend seamlessly into any design or stand theme. Plus the 43 cm top works well in limited space. 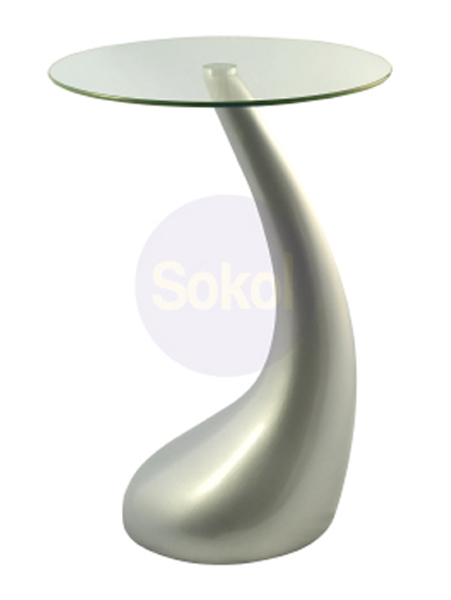 The Kugel table's sleek retro lines add a touch of class to any envronment without overtaking the space. A lovely piece which adds both style and function. 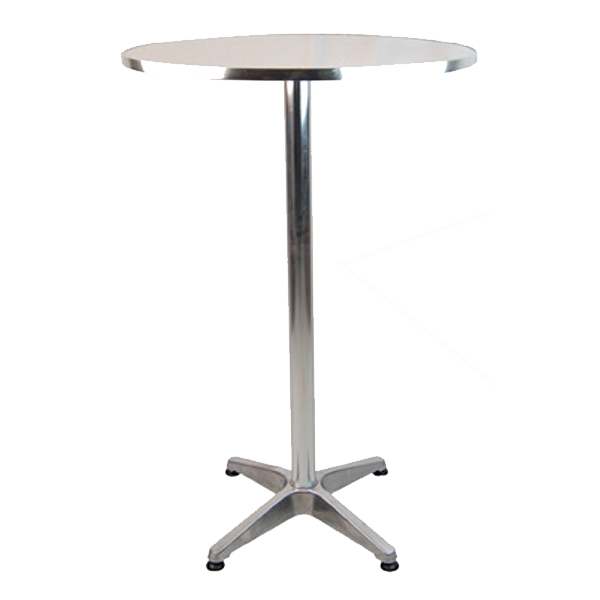 Th eKugel Table can be used as both a coffee table or small meeting table. 50cm Diametre X 72cm height. 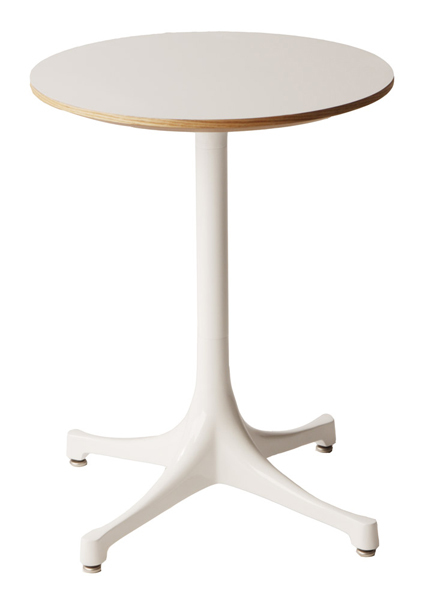 Designed by Eero Aarnio, the Parabel side table features a circular disc on top appearing to be almost balancing on its semi elliptical base. 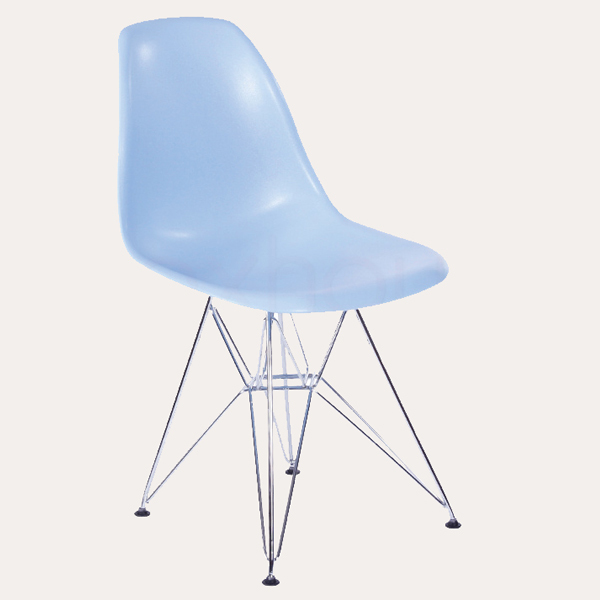 A very cool piece that works well with a range of retro designer chairs. 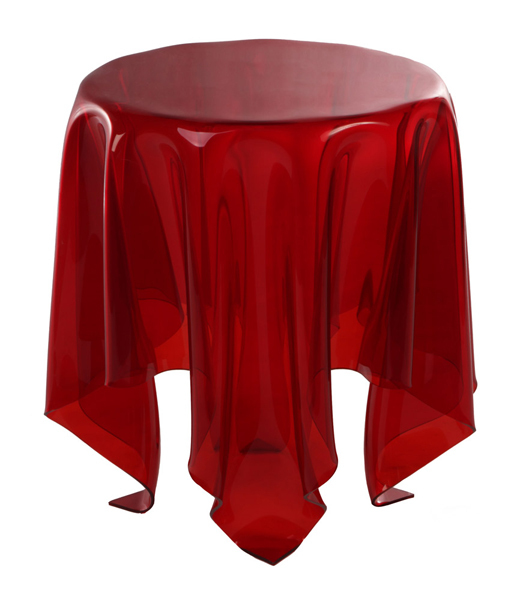 A unique table design, its name comes from the illusion it creates of a table cloth draped over a round table. 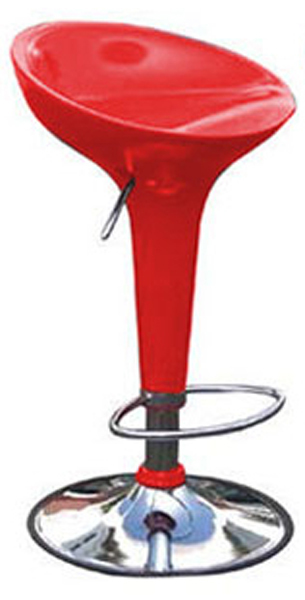 This unique piece invites comment and admiration, effectively drawing visitors to your stand. 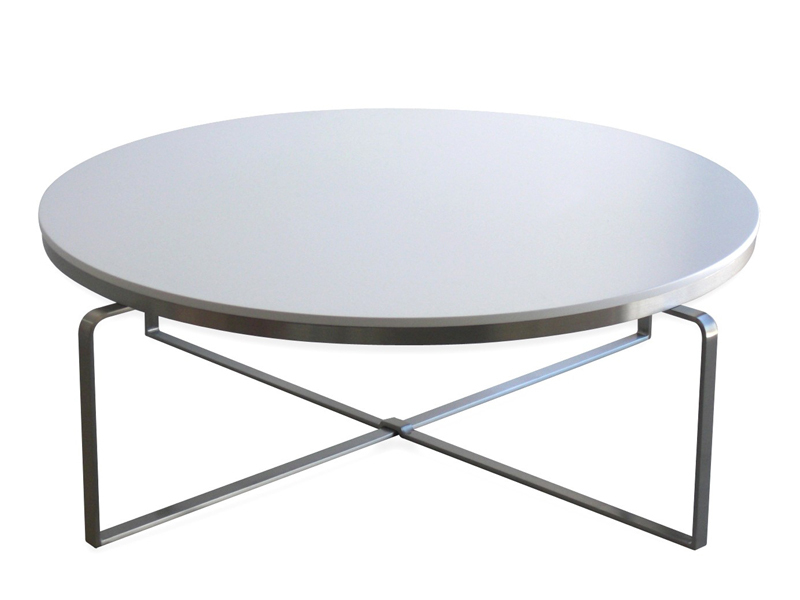 Sleek geometric design underpins this modern coffee table. Its finished with a stunning high gloss resin finish. With a larger than usual diametre this table also serves as a great meeting area for several people. 100cm Diametre X 35cm height. This table is both a work of art and a piece of fine furniture. 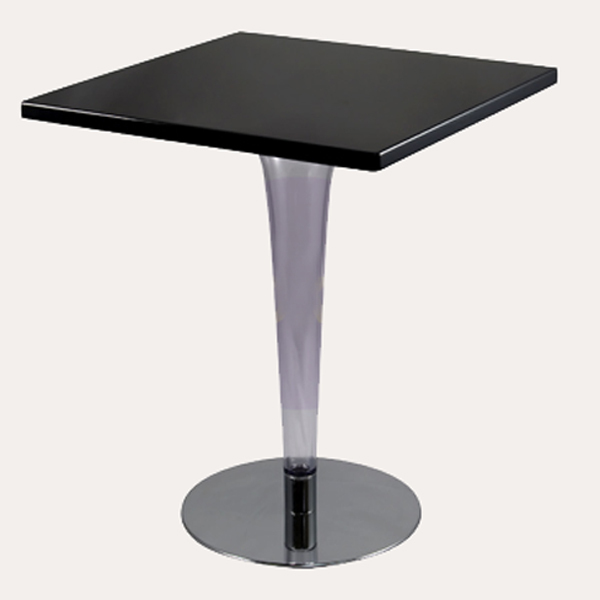 A 19mm tempered glass top rests on two curved, solid wood legs that interlock to form a tripod. Its fluid form adds much needed visual appeal to any stand whilst also providing a functional meeting space. 100cm Length X 100cm Depth X 35cm height. 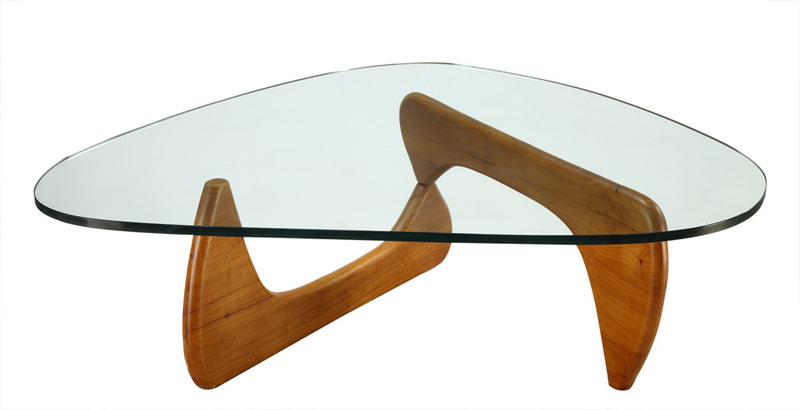 A very modern coffee table featuring a fiberglass base with glass top. With sleek design and a striking high gloss finish this coffee table is the perfect blend of functionality and beauty. 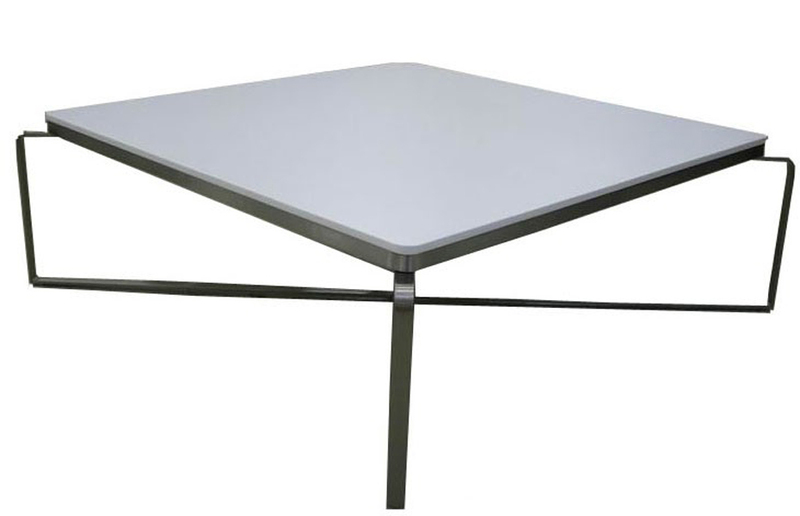 The Top table is one of Phillipe Starck more recent creations.Its beautiful lacquered polycarbonate top provides a beautifully refined and sophisticated look to your space. This is a perfect meeting table for smaller spaces. 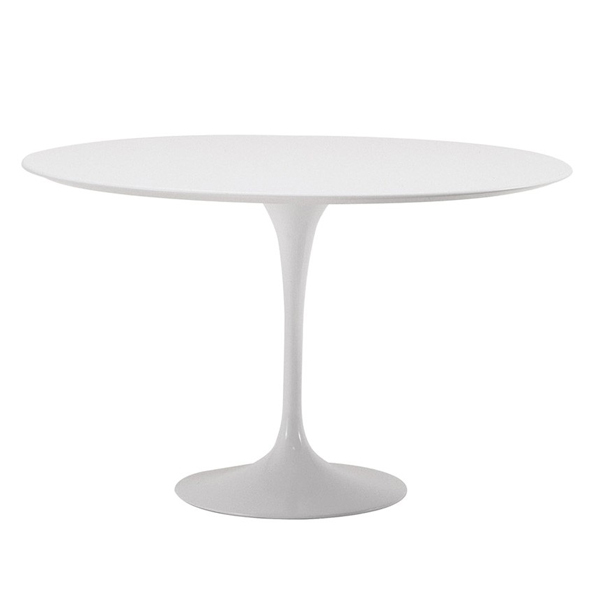 Wonderfully sleek and curvy, Eero Saarinen's design is a perfect meeting table for larger stands. The Tulip Table will seat up to siz people in comfort but can also double as a display platform for your products or collateral. Another very cool and very modern design fro Phillipe Starck. 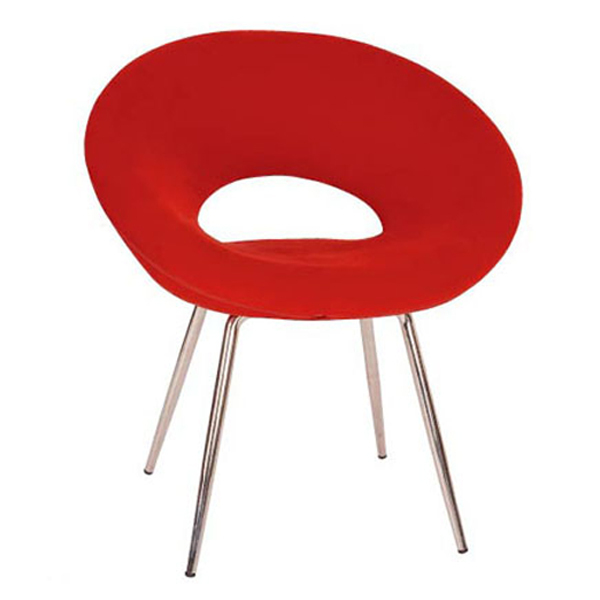 This chair is suprisingly comfortable and adds a fun, playful look to your space. 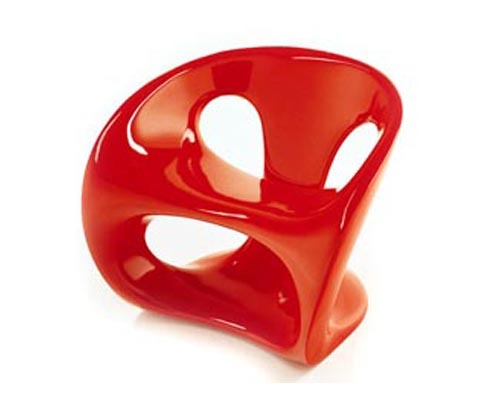 An incredibly funky piece from the iconic French designer, Phillipe Starck. If you have a loud, fashion forward brand this is definitely the chair for you. 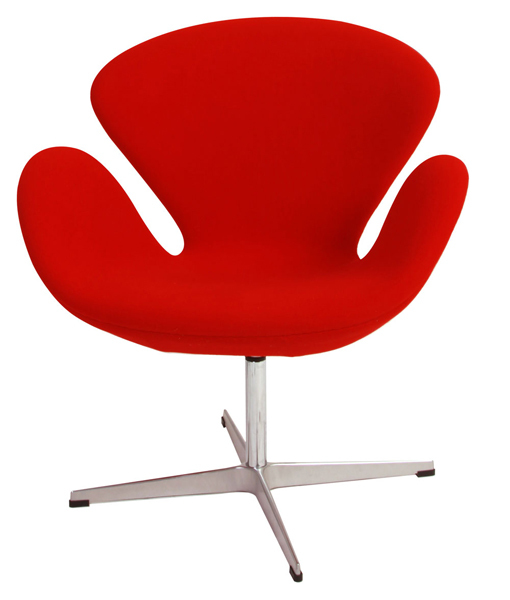 This flowing, graceful design by Arne Jacobsen is an enduring favourite. Brings an unequalled level of comfort and style into your space that suits almost any brand. This leather Barcelona chair features sleek minimalist styling, a perfect blend of art and function. 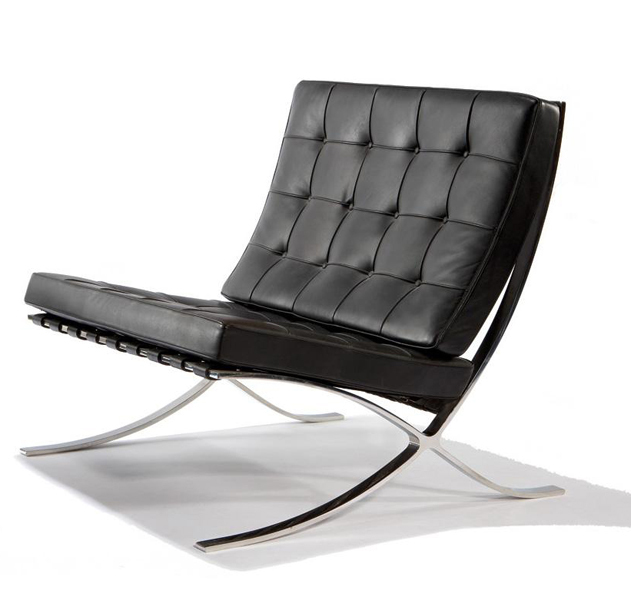 The Mies Barcelona Chair is one of the most popular exhibition seats in our range. 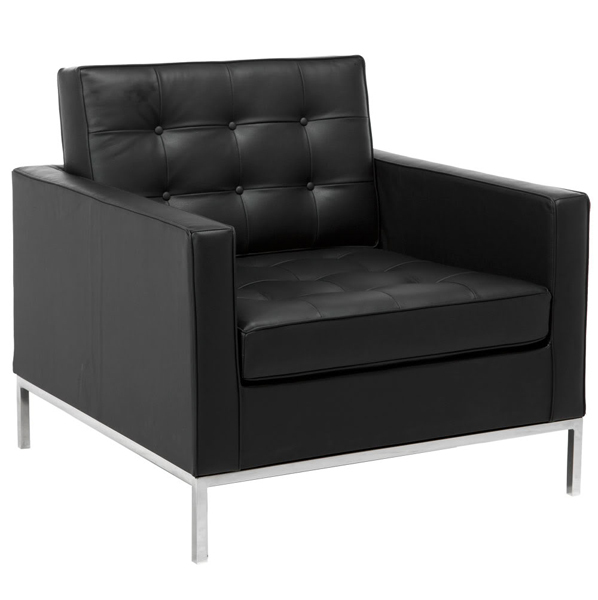 A timeless design with very clean, square lines; the Kelsey armchair is a great fit for medium to large stands. It provides an exceptional level of comfort and a very high-end corporate look. 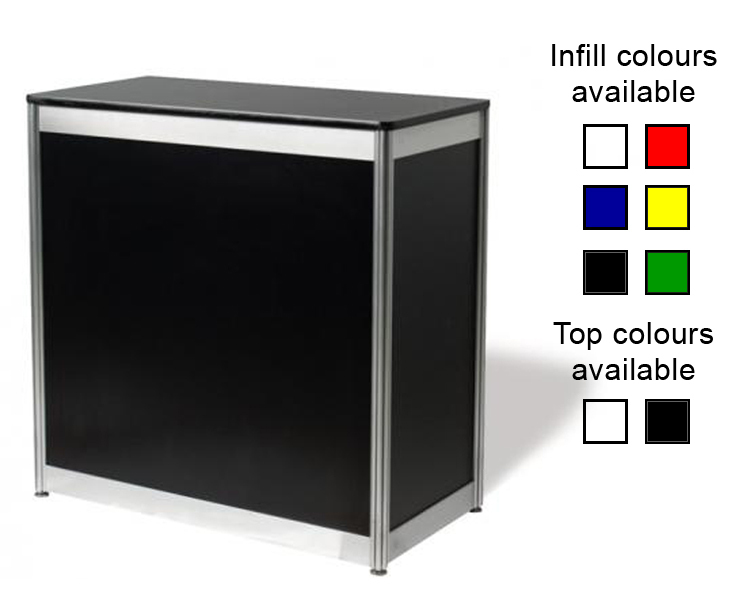 Rectangular counter with laminate top and lockable sliding doors. 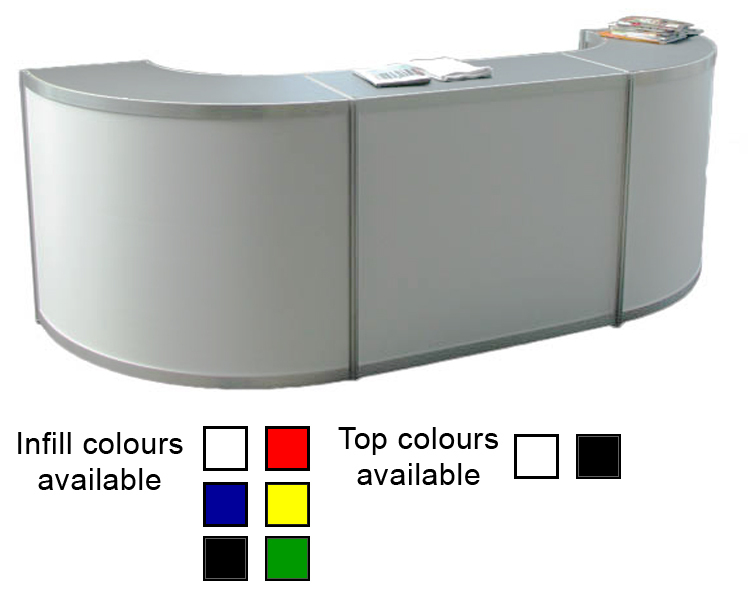 Curved reception counter with laminate top. 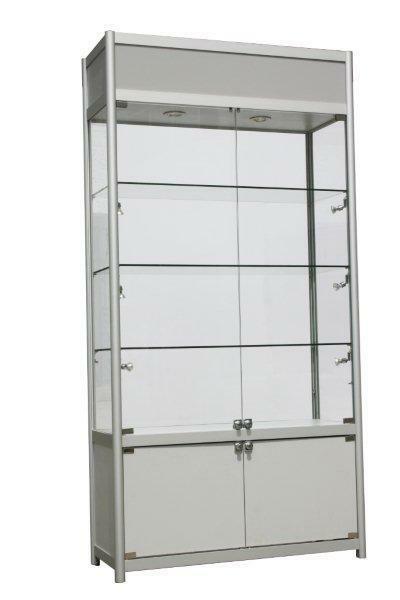 Single shelf glass showcase with storage counter below. Includes sliding lockable doors at the back. 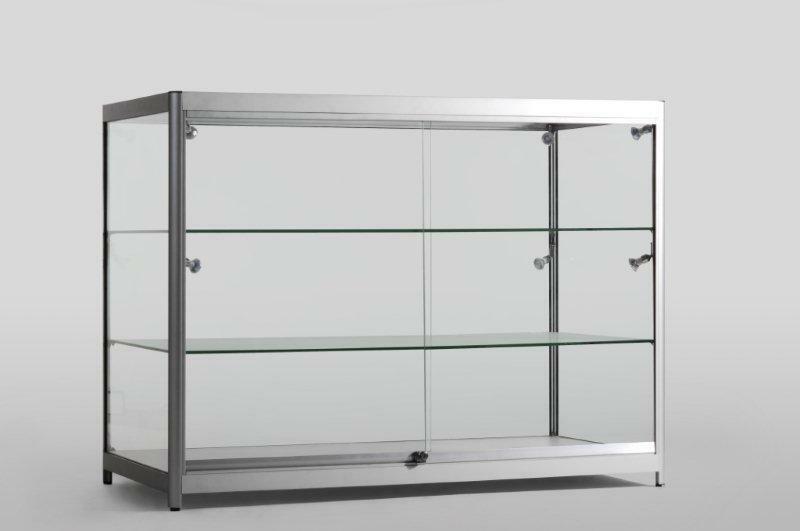 Dual shelf glass showcase with storage counter below. Includes sliding lockable doors at the back. Full glass counter style showcase. Full glass tower style showcase. Full glass tower style showcase with canopy and concealed storage space. 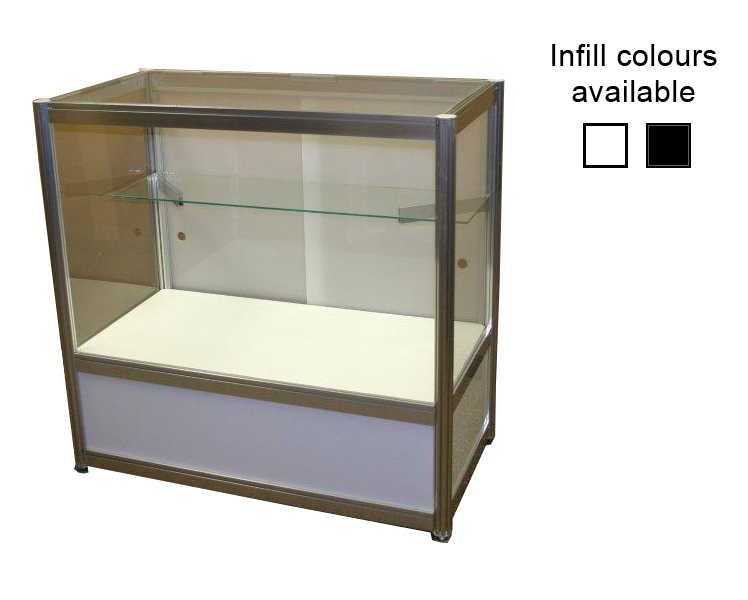 Grand reception or display set-up incorporating two curved and one rectangular counter. Custom made top for a seamless finish. Lockable storage in centre rectangular counter. 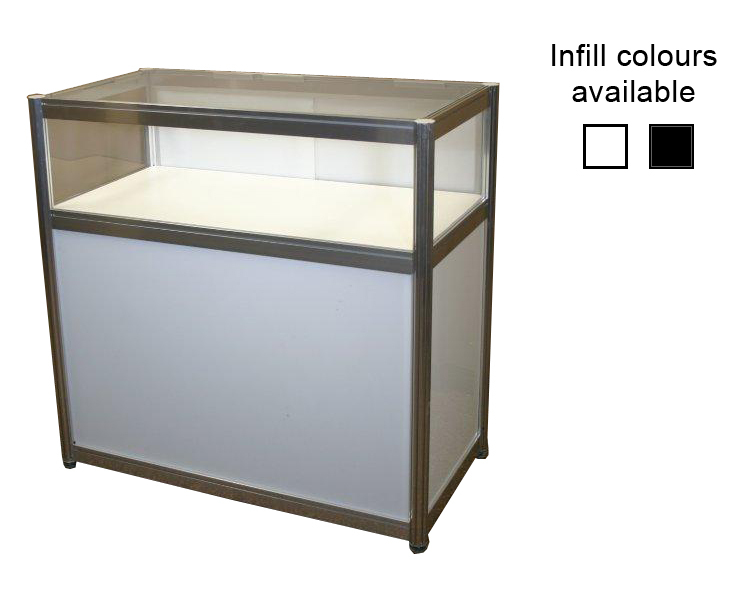 Suitable for a larger stands, this unit accomodates multiple reception staff and/or product displays. Will fit all standard Octanorm Rales. 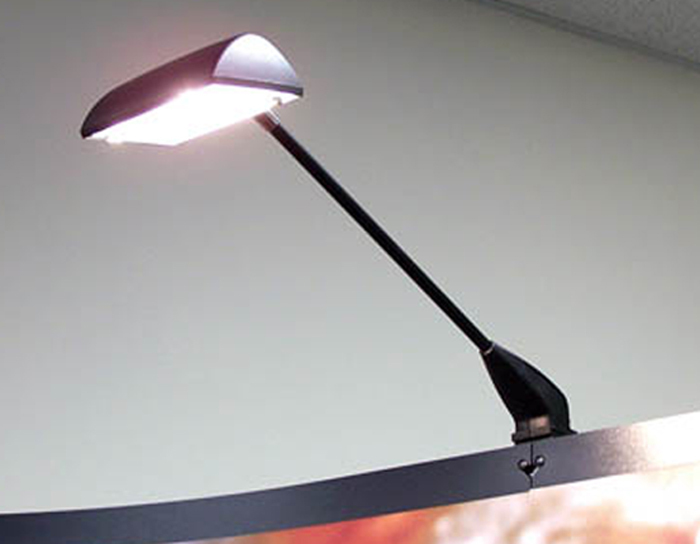 Pivoting Head allows user to direct focus of light as required. Easily daisy-chain multiple lights to provide lighting through a stand of any size. Please note: Image shown for indicative purposes, actual brand and model may vary based on stock availability.